To offer the greatest possible driving comfort, more and more cars are equipped with an air suspension system. A additional advantage of air suspension is the constant automatic level control which keeps the vehicle with a heavy loading at the same height to contribute safety. 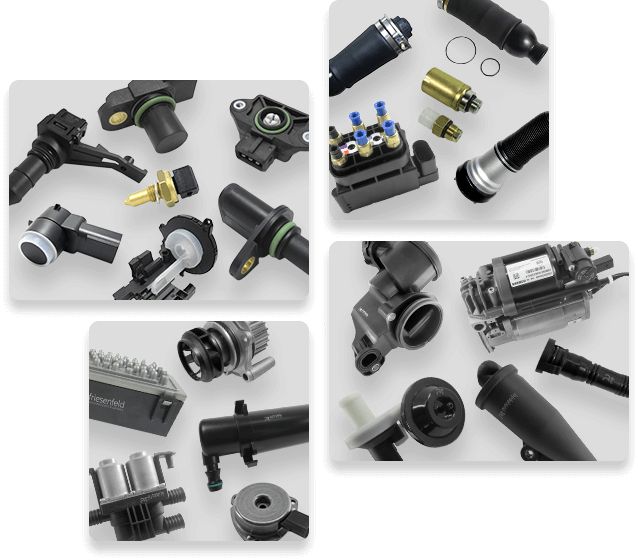 Our range of air suspension includes air springs struts, air springs/bellows, shock absorbers, compressors and control valves. We offer you one of the biggest ranges in the segment of air suspension which avoids you long searching processes. You’ll get proofed quality from certificated suppliers in familiar at autoteile germany quality.